In the autumn of 1969, I was living in Berkeley, California. 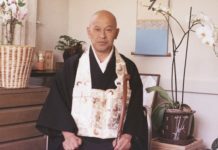 I had been introduced to Zen meditation by a friend and began practicing meditation either at the Zen Center or at home most days. 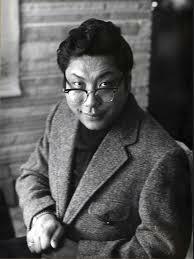 I also spent a good deal of time in Shambhala Booksellers, frequenting the spiritual books section, where I came across a small book, Meditation in Action, written by Chögyam Trungpa, Rinpoche. I found the book to be an inspiration to my practice. It was a down-to-earth, extremely accessible introduction to mindfulness training. The following year, I was in Boulder, Colorado, living in an Integral Yoga Insitute ashram (Swami Satchidananda’s organization), with four other hatha yogis. 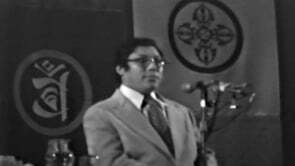 One of Rinpoche’s earliest students in North America, Polly Monner (now Polly Wellenbach), a good friend, informed us that Chögyam Trungpa, Rinpoche had been invited by a professor at the University of Colorado to visit Boulder in order to give a seminar. She also gave us the news that three of the members of the ashram were being invited to attend the seminar at no cost. Having read Meditation in Action the year before, I very much wanted to meet Rinpoche, and was thrilled to be one of the fortunate three to attend the seminar. Being a committed hatha yogi, I wore all white cotton clothing, had long hair, and the rest. My experience was that most “holy men” were of the ethereal kind, individuals who radiated peace, love, light, and kindness, and who were far from earthy in either language or dress. I imagined that Rinpoche would be a Tibetan version of this kind of spiritual guidesomeone monkish and sweet. The seminar was held in a renovated garage in a small house in Boulder. I awaited Rinpoche’s arrival in prayer, cultivating some holy thought. 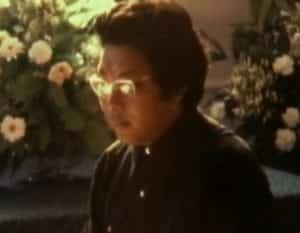 A short, chubby, dark, oriental gentleman limped into the room and took his seat in the speaker’s chair. It was a shock to learn this was the high lama himself—dressed in street clothes, and not looking particularly holy. Nevertheless, I joined my palms and showed reverence to him, if only to be polite. The seminar was on the five skandhas, much of which is now contained in Cutting Through Spiritual Materialism. Although I didn’t really understand the topic, I was intrigued by the speaker’s tremendous sense of humour and earthiness. I had never heard anyone speak as directly about meditation experience and the nature of mind as he did. After the seminar, I asked to have an interview. My intention was to have a serious discussion about meditation, hoping to convey to him my deep spirituality. I showed up in my best “yogi whites” and was shown into Rinpoche’s bedroom. 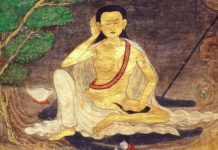 Rinpoche was sitting up in a single bed, leaning against the wall, with both legs stretched out straight in front of his body. His left leg was in a cast (from a serious car accident in the U.K.). There was a bottle of scotch whiskey on the table next to the bed, and a large glass of it next to the bottle. The room was sparsely furnished. I was surprised not to see an environment decorated with holy statues, pictures, and other spiritual paraphenalia. I certainly didn’t expect to see the scotch. Nevertheless, I approached Rinpoche and handed him a gift—an orange—and sat down on the floor next to the bed. Rinpoche smiled very sweetly, took the orange, and immediately held it up to his nose, smelling its fragrance. He then put the orange down and looked directly at me. His words caught me completely off-guard. 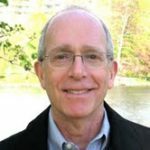 Over the previous year, I had become a student of meditation, yoga, the I Ching, and other Asian disciplines and teachings, all of which I pursued very seriously. Although I had been a bit of a “cut-up,” class clown, and comedian in my late teens, I had surrendered those tendencies in the name of developing a higher consciousness. Saying that I was a gifted funny person dramatically undermined the spiritual confidence I had cultivated, and left me feeling absolutely naked. Shocked, I looked up at him and said, “Rinpoche, may I ask you a question about something that doesn’t have to do with meditation?” He said yes. I told him that I was in the process of being drafted into the U.S. military, and that, to be perfectly honest, I was really frightened. I knew that I could not go into the army and survive Vietnam. I certainly couldn’t shoot anybody. The army had been trying to draft me for sometime, and I was out of excuses. I would either have to flee to Canada or go to jail, neither of which I wanted to do. Only one other option seemed plausible. 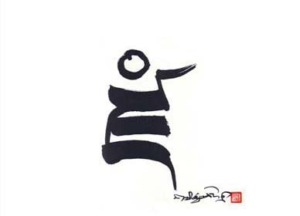 I asked Rinpoche if I should go to the physical as a crazy yogi, and, basically, try to “freak the draft board people out.” Rinpoche laughed, and shouted, “Mad Yogis! Mad Yogis!,” chuckled, and said, “Why not?” He then reassured me, and I left the interview. I was utterly dumbfounded by my experience. Rinpoche popped my self-importance and naivetÃ©, cheered me up, and encouraged me to deal directly with my greatest fear at that time. During the following sixteen years, with immense patience and kindness, he continued to impart that message to me again and again. During the first visit of the Sixteenth Gyalwa Karmapa to North America, His Holiness visited the 1974 Vajradhatu Seminary at Snowmass, Colorado. 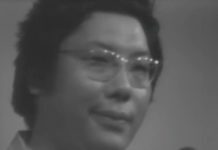 In preparation for this auspicious event, individuals volunteered for various tasks associated with the visit, including what became known as the “guards.” The role of the guards was to act as a security service, protecting His Holiness, the members of His Holiness’s entourage, Trungpa Rinpoche, and the residence itself. Men and women who volunteered for this service took shifts at the household. Following His Holiness’s visit, the guard service was continued, now focused solely upon the protection of Rinpoche and his household. This was especially necessary, as a number of death threats had been sent to Rinpoche from an individual who was known to be living in the area. The guard shifts were around the clock. Having volunteered for a shift, I arrived at the residence and was given my instructions. I was told that, should someone try to break in, I would find a long hardwood stick and a can of mace in the front hall closet that I could use to fend off the intruder. Those were the only weapons available to me, which was not very reassuring given the seriousness of the death threats. My shift was early in the morning, shortly after sunrise. I took my seat in the living room, which was quite a distance from the front doorperhaps twenty-five feet or so. I assumed everyone was sound asleep, as the house was very quiet. I settled into reading a book, occasionally looking up from my studies to scan the series of large windows that looked out onto a dark forest. Unfortunately, there was no window looking toward the front of the house from my vantage point. There was, however, a narrow window next to the front door, which was around the corner in the front hall. As I sat there, I became aware of a soft, scratching and thumping sound that seemed to be coming from the front of the house. At first, I doubted that I was hearing anything at all. Then I felt certain that there really was a noise, and that it was getting louder. I rose to my feet, and began to walk very carefully toward the front hallway. As I reached the steps to the hall, I heard the sound increase in volume. There was no doubt about itsomething or someone was scratching at or near the front door! My heart began pounding. As I approached the end of the hall, I clearly heard a thumping noise, not from the front door, but from the hall closet . . . the closet with the hardwood stick and the can of mace. The noise intensified. I walked to the closet door, my heart pounding in my ears. 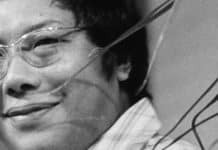 I grabbed the doorknob, paused for a moment, braced myself, and quickly pulled the door open, the hair on the back of my neck and head tingling, and there was Rinpoche, staring at me with a huge, toothy, mischievous smile on his face. He was positively radiant, and appeared extremely pleased with his prank. I mumbled “Rinpoche,” and backed away. Rinpoche stepped out of the closet, beaming and chuckling. I am sure I looked pale. Rinpoche returned to his bedroom and I returned to my post in the living room. Following the “Rinpoche in the closet” experience, I volunteered for an overnight guard shift at Rinpoche’s residence at Seminary. Once again, I took my station in the living room, sitting on a long sofa. I settled in for the night, studying a key text for one of the Seminary classes, The Tibetan Book of the Dead. While absorbed in the book, I distinctly heard something hit the couch. For some reason, I pretended not to notice, and continued reading. Then, an orange landed next to me, arriving at a considerable velocity. Without moving my head, I attempted to locate the position of the attacker via my peripheral vision. I couldn’t see anyone. Suddenly, a piece of fruit slammed into the transcripts resting in my lap, hitting the notebook squarely in the middle of an open page. I quickly picked up the orange, and turned toward the only doorway. No one was there! Another orange or apple landed near by. I looked up. The living room had cathedral ceilings and the second floor landing had a square, window-like opening that looked down upon the living room. Leaning out from this balcony was Rinpoche, smiling and continuing to pelt me with fruit. I threw the orange back up at him, and we proceeded to have a very fast-paced fruit-fight. Tiring of that, I went over to the coffee table and picked up a book of poetry. I took a position below the balcony, opened the book, looked up at him, and began to read some poems with booming, exaggerated Shakespearean accent, as if he were Juliet and I, Romeo. While I was reading, there was a loud crash; a large piece of firewood rolled across the floor. Looking up, I saw Rinpoche grinning, holding another small log, which he immediately dropped over the edge of the balcony. I continued to pretend to read, keeping a keen eye on the bouncing log, which went careening around the floor. He dropped a third log before I had the good sense to stop reading and surrender.